sometimes i just want to blog about my purchases and how good of a shopper i am, because i find the cutest things at the best prices. on my lunch break today, i wandered down to gap and was so pleased with what i saw. nothing fits me better than a size small gap t-shirt, and nothing makes me happier than clothing under $10. you can then imagine my excitement when i found these favorite t's only $4.99. yes, $4.99. what a deal. i bought two, in orange and lavender and then found these little gems for a mere $30. problem: no size 4. big problem. but don't worry, i had them check south coast and there are 5 size 4's available there, so i bought an equally cute pair of denim cut offs and will be south coast bound tomorrow to purchase the pinstripes. 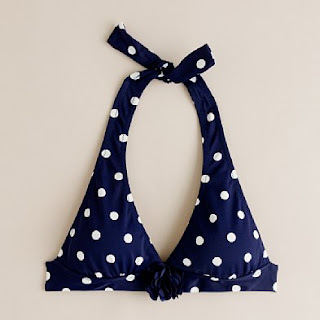 j. crew bikini top, on sale, for $20. i almost felt guilty about it, being like 60% off. juicy couture silver cupcake charm. planning on wearing it as a necklace on a long silver chain. cute, huh? 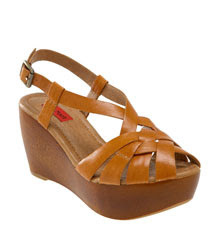 miz mooz wooden wedges. a bit pricy for my bargain-hunter self, but my guilt factor is low because of how flat the incline is and how comfy they are going to be once i work them in. and such a versatile color, easy to dress up and down. great purchase, i know. planning on purchasing a hobo wallet, in a lovely pink/salmon shade, so i can look like an adult with a big girl wallet. question: classic black or stick with my instinct and choose the pink one? i'm starting to think i wear too much pink. i got called barbie twice today. 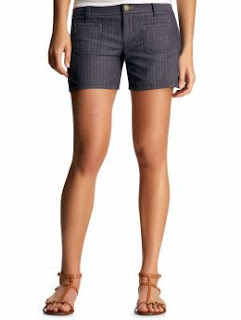 contemplating some skinny hudsons, which are meant to be cropped, but probably will be perfect length for me. need a new pair of designer skinnies and i love the fit of my hudsons. i will let you know what i decide on tomorrow, after my south coast adventure, because i know you're really dying to know what's in my closet.